How to hang cabinets with a laser level is certainly one of the various projects that call for the accuracy of a laser level. 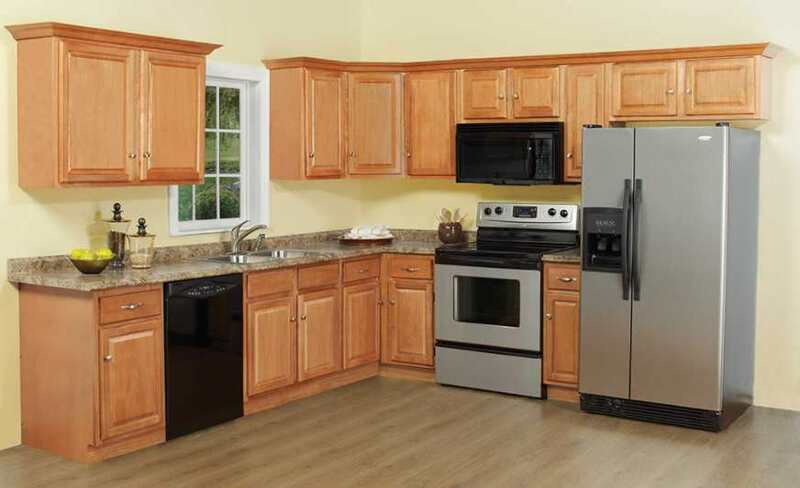 To hang cabinets with a laser level one can use a shorter-range laser level, though it does require quite a few measurements. Laser levels that have dual intersecting lines will be the most useful for this project, though if you want to spend more, you can get lasers that have even more beams simultaneously which could be helpful to hang cabinets with a laser level. When we look out how to hang cabinets with a laser level, to get the most precise and successful cabinetry project, we’ll assume we’re talking about wall-mounted cabinets, those above the sink, etc. That will give us a good baseline, with principles to apply to other cabinet projects. Laser Level: you can find some detailed laser level reviews here. Start off by measuring the height of the cabinets. That’s all you have to do before you get to bust out the laser. Mount it on the tripod. Now that you’ve found the height of the cabinet, set the level accordingly. Shoot the beam at the wall where the cabinets will be installed. With the stud finder, find the wall studs, which, if you don’t know, are heavy beams that support the weight of the DIY cabinets. Start by making a pencil mark here and then use the laser to make sure it is level and you have a good solid level line all around. This has established the most important baseline possible, which is that the base of the cabinets will be perfectly straight. Their structural integrity and function will be very compromised otherwise. The ledger board is parallel to the wall and it forms a very small ledge that supports the cabinets. This board is installed where the studs are marked. You’ll be placing the top of this ledger board along the bottom of the horizontal laser line. Because the cabinet screws go into the ledger, in has to be level. First, take off the little clamps, brackets, handles, or any other hardware from the cabinets. You’ll probably go one cabinet at a time to make life easier for yourself. It’s best to start from the corner cabinet to give the unit some stability. Attach this cabinet to the studs with your screw gun. This is where you bust out the bubble level, making sure the cabinet is plumb. If it’s not, that’s where you bust out the shims, which you put between the cabinet and the wall’s studs. Now it’s time to line up the additional cabinets. Vertically aligned gunned screws, bubble level, shimming as you go. If some of the shims end up being visible, trim them with a putty knife or with a box cutter. Sometimes you’ll end up with a nagging little gap between the end cabinet and the wall. In this case, cut a strip of moulding that matches the length of the cabinet. Stain in to match the cabinet if desired. If you’re now going to attach a valance, which is a little arch or something slightly decorative, often placed on cabinets directly over the sink, that’s a two-person job, though it’s easy. Use countersink pilot holes and attach with wood screws. What’s fascinating about working with cabinets is that once you get started, it’s not hard at all. You’ll utilize a lot of basic carpentry skills. In fact, a lot of what’s important about this process actually comes at the beginning. Cabinets won’t allow you to stack your kitchenware properly if they’re not completely level. That is where the work of a laser level comes in. What you have to do with the machine is pretty simple—it really does the work for you. All you have to do is perform some quick and easy research to find the laser level that works for you. The beauty of a project like this is that a line laser or something simple will work, and you can use a level with the shortest range. Just be careful about your choice if you’re going to be doing a lot of grading, measuring, or any construction projects, you’ll need a longer-range laser, and possibly a rotary laser level. But for now, a cabinet project will help you get used to the ways of laser leveling.